Bessie Smith was the greatest and most influential classic blues singer of the 1920s. 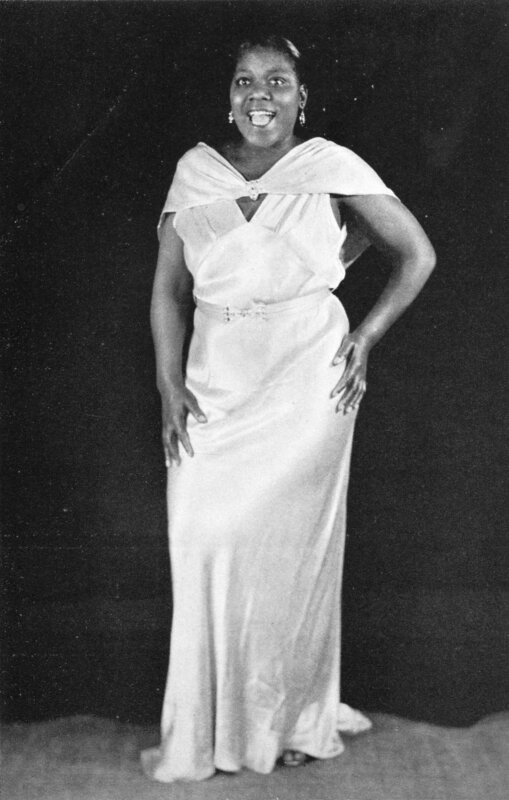 Nicknamed the Empress of the Blues, she is often regarded as one of the greatest singers of her era and was a major influence on other jazz singers. Her full-bodied blues delivery coupled with a remarkable self-assuredness that worked its way in and around most every note she sang, plus her sharp sense of phrasing, enabled her to influence virtually every female blues singer who followed. During her heyday, she sold hundreds of thousands of records and earned upwards of $2000 per week, which was a queenly sum in the 1920s. She routinely played to packed houses in the South as well as the North and Midwest. By the time the decade had ended, Smith had become the most respected black singer in America and had recorded a catalog of blues that still stands as the yardstick by which all other female blues singers are measured. Since her death, Bessie Smith’s music continues to win over new fans, and collections of her songs have continued to sell extremely well over the years. She has been a primary influence for countless female vocalists—including Billie Holliday, Aretha Franklin and Janis Joplin—and has been immortalized in numerous works. A comprehensive, acclaimed bio on her life — Bessie, by journalist Chris Albertson — was published in 1972 and expanded in 2003. Often overlooked is her proud Bisexuality. She was brash, bold, and never shied away from the fact that she liked women. Adding that to list of her "eccentricities" was an easy write off for most, but it was a personal struggle for most of her life, trying to balance her husband and her female relationships. It was widely known that she would have affairs with women while being married to Jack Gee, who knew of his famed wife’s dalliances. The biopic staring Queen Latifah is said to explore the queer world of that era, and not tiptoe around the issue of Bessie Smith’s bisexuality. So today I choose Bessie Smith’s “I Need A Little Sugar In My Bowl” as my, become your own legend, start your story now, no one can tell you how bright you can shine song for a, let nothing stand in your way, no hill is unclimbable - no obstacle unconquerable - no battle insurmountable, remember your own divinity, Monday.